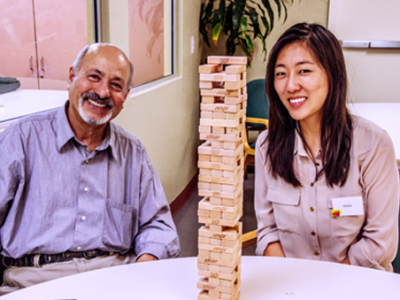 Alzheimer's Services of the East Bay (ASEB) provides services for individuals with memory loss and their families/caregivers, including: Adult Day Care, support groups, counseling, case management, education and training. Donations give ASEB the extra support needed to provide quality care to clients who are often underserved -- the elderly, low-income, women, and members of minority groups -- and the funds needed to provide education, referral and information to the general community. Every ASEB client is subsidized. Though a majority of ASEB's low-income day care clients are eligible for assistance through Community Based Adult Services (CBAS), this does not cover the full cost of care. ASEB subsidizes low-income clients approximately $320,000 per year. ASEB also provides services such as support groups, assessments, and information & referral free of charge. Alzheimer’s disease is a progressive, degenerative disease that attacks the brain and results in impaired memory, cognitive decline, and behavioral changes. It is the most common form of dementia and eighth leading cause of death in the United States (Source: U.S. National Center for Health Statistics, Health, United States, 2005). According to estimates based on the latest Census data, there are currently more than 22,000 residents of Alameda County and 5,000 Oakland (the largest city in our service area) residents living with dementia. Current participants in ASEB's day program live in a household with an average of 2.6 other members. These numbers suggest that at least 57,200 caregivers in Alameda County are currently living with and assisting someone with Alzheimer's disease in order to allow them to live at home. 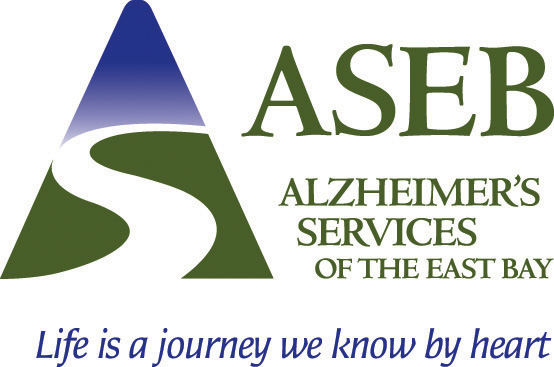 Alzheimer's Services of the East Bay (ASEB) has been serving Alameda County for over 25 years with programs that enhance the lives of individuals affected by Alzheimer's disease. Last year, thousands of individuals in Alameda County directly benefited from our activities, and thousands of others receive the indirect benefit of living in a community where efforts such as ours improve the quality of life for all. ASEB's goal is to prevent premature institutionalization by helping individuals with dementia maintain their highest possible cognitive, physical, and behavioral level of functioning, and by offering extensive support to caregivers. ASEB's current service base includes two Adult Day Health Care centers (one at 561 A Street in Hayward, and another at 2320 Channing Way in Berkeley) which serve most communities in Alameda County thanks to door-to-door van transportation; an innovative program for individuals in the early stages of dementia; supportive services for caregivers; and an extensive training and education program. Over 69% of ASEB's current day care participants are low income, 70% are minorities, 70% are female, and 75% are over the age of 75 years. 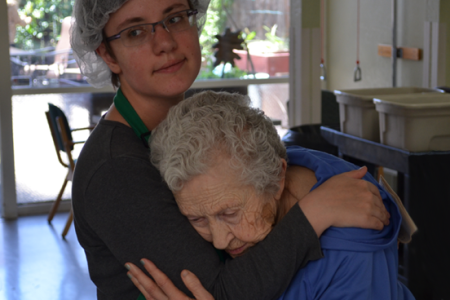 Last fiscal year, ASEB served 190 Alzheimer's day care participants; provided over 4,000 therapy hours; served over 20,000 hot nutritious lunches; facilitated 91 support groups; provided over 25,000 one-way van trips. Mr. and Mrs. S. entered Alzheimer's Services of the East Bay's day program last year. The couple, now in their 70's, lived and raised their five children in Alameda County. Over the past year, Mr. S. then Mrs. S. were each given a dementia diagnosis. At first Mrs. S., a retired nurse, cared for her husband, a retired human resources manager. One night he wandered from home for hours in search of his keys. When he walked into a hospital down the road, staff members recognized him as a former volunteer. Then there was a time Mrs. S. mistakenly switched her pills with her husband's. Their children, seeing their gradual decline, were concerned about the coordination of care and finances. One son who worked at home and lived nearby stepped in and became the primary caregiver. Their daughter investigated community resources and found ASEB. At first Mr. and Mrs. S. were hesitant to participate. Mr. S. headed for the door often and he needed reassurance almost hourly. Now they are painting, cooking, singing, and exercising with the other participants and staff. The family is relieved that their parents are safe and cared for during the day. The children are working on a plan for when the disease takes its unfortunate course, and know they will have support and respite along the way. Alzheimer's Services of the East Bay serves individuals with early-to-late stage dementia, their families and the community through day care, support, counseling, care management, education and training. ASEB has provided services since 1989 and operates two state-licensed Adult Day Health Care centers. Numerous state and private organizations including the California Department on Aging and the Alameda County Department of Aging monitor ASEB's outcome and verification systems. A certified accounting firm conducts an annual independent audit of the agency each year and the agency complies with auditory requirements stipulated by the Title III Older Americans Act. ASEB is a nonprofit organization with an IRS 501 (c) (3) designation and files financial information with federal and state governments each year. Those files are available to the public for review. The agency has received national recognition as a model Adult Day Health Care program, and has received an award for management excellence from Chevron and the Management Center. ASEB's Board is committed to an active fundraising program including foundation grant requests, special events, a major donor program, and planned giving. The 10-member Board, made up of individuals from the community with a range of backgrounds from human services to business to personal caregiving, reviews the financial status of the organization on a regular basis and supports a cost-effective program that maintains a high quality of service. Administrative overhead is approximately 15% a year. Board and staff are committed to maintaining quality programs, continuing to subsidize care for those who are unable to afford the full cost, and maintaining the flexibility to develop programs for emerging needs. Staff and Board participate in an annual long-range planning sessions. 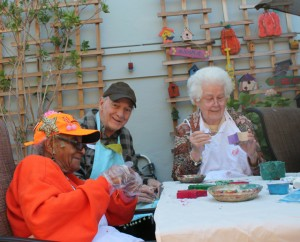 Our Early Stage Program takes a proactive approach in addressing the challenges of memory loss. ASEB offers programs for individuals and their caregivers. Since 1989, ASEB has been providing Adult Day Care, Family Support, and Education & Community Outreach Services.